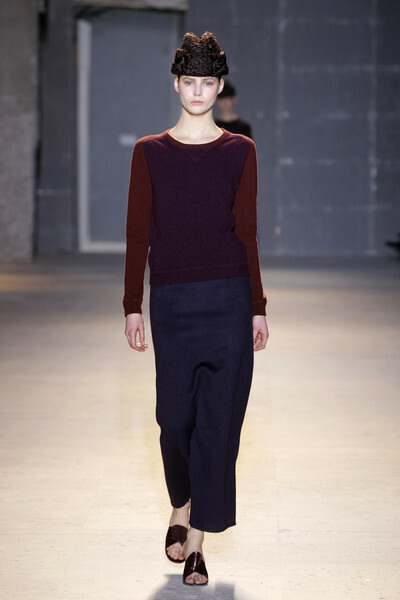 Rochas’ fall collection is Marco Zanini’s definition of chic. He reconnected with his Swedish roots with charming results. The outcome became a refresher course on fashion classics. 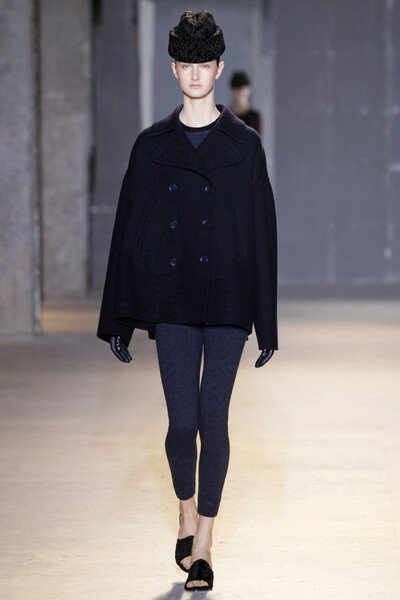 There were the boxy kick-pleat skirts and Shetland wool sweaters, oversized coats in felted wool and swingy jackets, paired with leggings or capri pants. 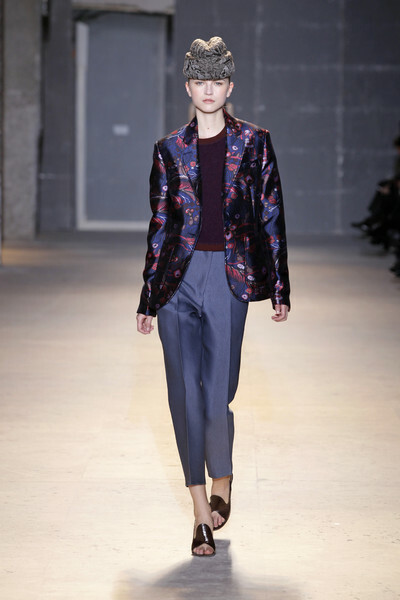 Elements of tailoring were sprinkled throughout, including some blazers with hefty shoulder pads. For night, Zanini took a turn showing black brocade cocktail dresses with exposed zippers.